Watches have been around initially as a mandatory utility to keep a check on time. It later evolved into a fashion accessory with a luxury aspect to it. Today, watches are considered as a critical accessory of any man’s attire in terms of both utility and fashion. The tricky part has always been which watch is worth buying. Most good watches cost you a fortune and require maintenance. Therefore, it is essential to make an informed decision while purchasing a watch. It is not just the look that matters, but the science and technology that drives these timepieces are of critical importance too. The biggest gamechanger in the timepiece technology have been Eco-Drive watches. Unlike the conventional battery driven watches, these watches acquire their power source from light. Although the basics of these technologies have been adapted from the tried and tested solar technology, what makes these watches stand out is that they can source their power from any light and are not merely dependent on sunlight. 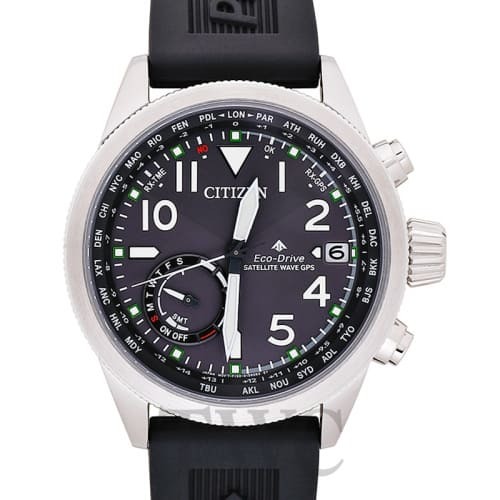 The Citizen Watches eco drive series is currently the best one in the market for this type of technology. They are the most underrated yet the most superior ones at the moment. Here are some of the key reasons why every man should invest in a Citizen Eco Drive. The hardware design on which these watches run is not something very hi-tech and is simplistic. This makes them easy to handle when repairs are needed. Despite that, the technology is sophisticated and advanced and is second to none currently when it comes to timepiece technologies. It can be easily said that the Technology is a perfect blend of technological genius and design simplicity. What makes Eco-Drive a genius technology is that they are not one of those typical solar powered watches. Any source of light can power them. This even means that they will continue to get their power even if you are working in your basement under a light bulb in the middle of the night. You do not need to stress about the like cloudy days, and overcast conditions that deprive conventional solar batteries of getting their much needed powered, A light source at your home or office can quickly do the job. The technological genius of this watch is not limited to its power source but also power storage. The advanced power storage cells in the Eco-drive watches are nothing like your traditional power storage cells. They are designed to store adequate power for an incredibly long time and release it just as much as required. With the Citizen Watches eco drive series, you get an additional backup power battery, which takes care of power supply just in case your regular battery runs out of power. This ensures that you continue to use your watch without worrying about getting batteries changed for a good 40 years. Citizen Eco-drive watches have an amazingly fast restart time just in case your battery runs out of power. Your watch will restart with seven seconds of coming in contact with a light source, which means you will not face many difficulties resetting the time.